Australia Day is coming up, and we’re busy preparing for our local Australia Day party! We’re teaming up with a few other Australian families who are also living here in New England and celebrating an expat Aussie Day. We’ll be having shrimp, sausages, and meat pies. It’s important to all of us that our children experience their native culture, even though we’re living far away. At home, we’ve also been reading our copious amounts of Australian picture books, and my husband (Australian-born) has been playing his didgeridoo. My daughter and I will be making Anzac biscuits and lamingtons for the celebrations. Whether you’re Australian and looking for an active way to celebrate your homeland or if you’re interested in learning more about this unique and magnificent country, why not try Australia Yoga! 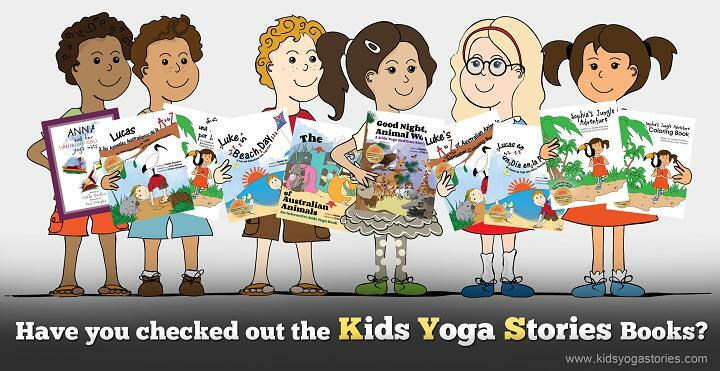 Introducing Australia for kids through yoga! Below are five famous Aussie landmarks and places to visit through a pretend journey to this amazing country. 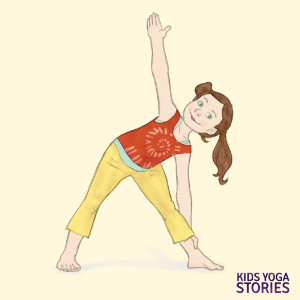 For more yoga pose ideas, check out the twenty poses found in our Australian Yoga Cards for Kids or make up your own. Jump in and give it a go—Aussie-style! 1. Pretend to be Mount Kosciuszko. How to practice Mountain Pose: Stand tall with your legs hip-width apart and feet facing forward. Take your arms straight alongside your body. Pretend to be tall and mighty like Mount Kosciuszko, the highest peak in Australia. 2. Pretend to be the Opera House. How to practice Triangle Pose: From a standing position, step one foot back, placing the foot facing slightly outwards, take your arms up parallel to the ground, bend at your waist, tilt your upper body, reach your front hand to gently rest on your shin, and reach your other arm straight up. Pretend to be the Sydney Opera House. 3. Pretend to be Uluru. How to practice Table Top Pose: Come to an all-fours position with your fingers spread out and palms flat on the ground. Ensure that your back and neck are in a straight but neutral position. Your shoulders should be over your wrists, and your hips should be over your knees while the tops of your feet are flat on the ground. Pretend to be Uluru, also known as Ayers Rock. 4. Pretend to be the Great Barrier Reef. How to practice Locust Pose: Lie on your tummy, lift your chest and shoulders, and look up. Pretend to be a fish in the Great Barrier Reef. 5. Pretend to be the Sydney Harbor Bridge. How to practice Bridge Pose: Lie on your back with your knees bent and your feet flat on the ground. Rest your arms down alongside your body, with your palms flat on the ground. Tuck your chin into your chest and keep your spine straight. On an inhale, lift your buttocks. Pretend to be the Sydney Harbor Bridge. 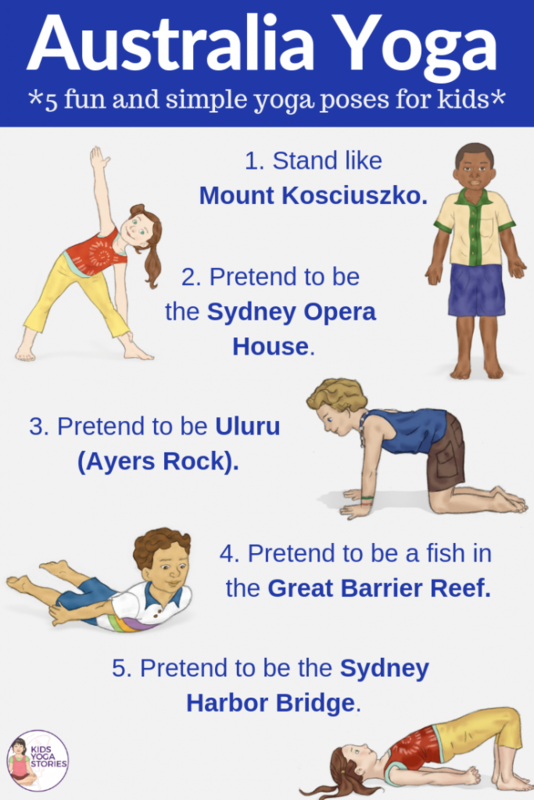 LEARN ABOUT AUSTRALIA THROUGH SIMPLE AND FUN YOGA POSES! Australia is a beautiful country with a vast array of interesting animals, sites and traditions. Go on your very own adventure and pretend to be a frilled-neck lizard, a kookaburra, or ride a horse in the Melbourne Cup! 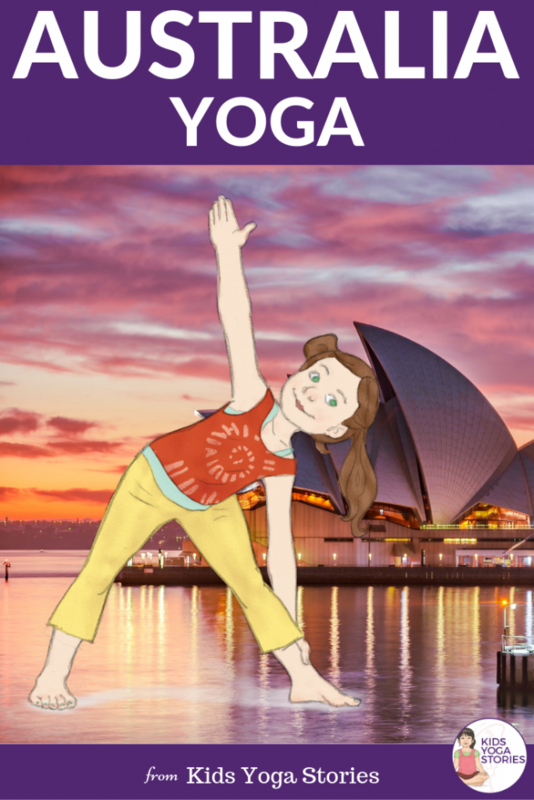 Download these 53 Australian digital yoga cards to learn through movement in your home, classroom, or studio. Includes an Index Card, Pose Instructions, 20 Yoga Pose cards, and 20 matching Australian Animal cards. 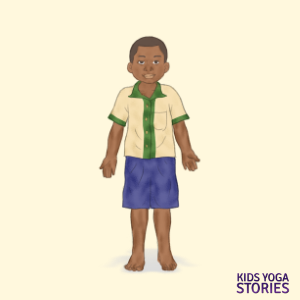 The yoga kids are multicultural from seven countries. 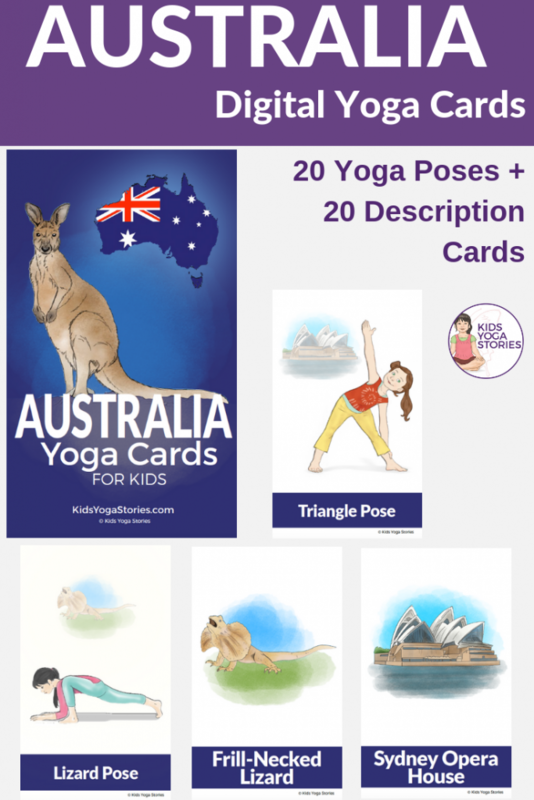 Purchase your Australia Yoga Cards for Kids here. Come along with Luke as he hops like a kangaroo, perches like a sea gull, and rests like a sea star on an Australian beach. 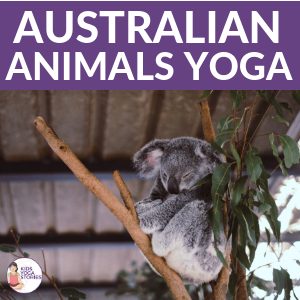 Then curl up like a koala, hop like a kangaroo, and waddle like a wombat as you act out an Australian animal for each letter of the alphabet. 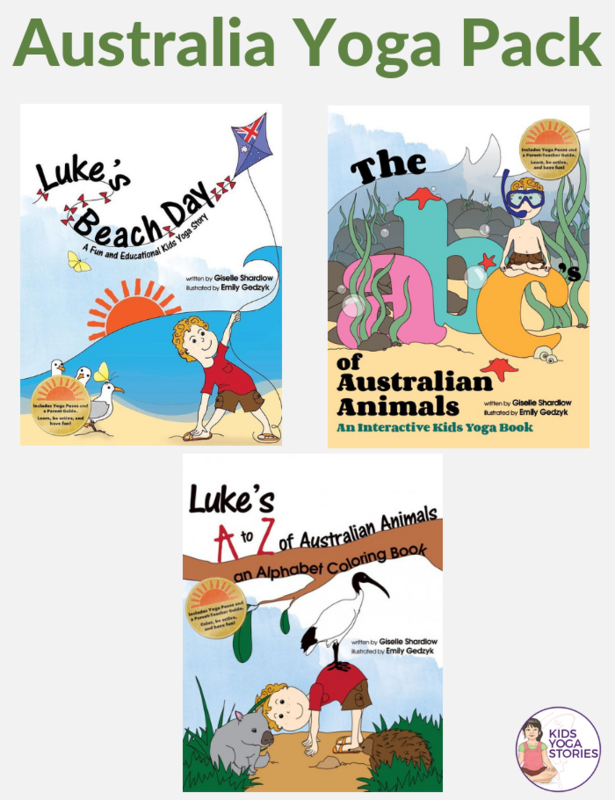 Finish up by coloring in the Luke’s A to Z of Australian animals book. Age group: 3 to 7. 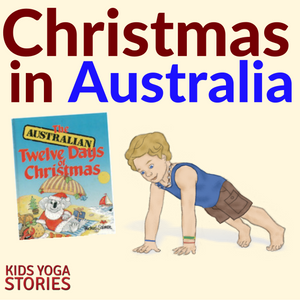 Order your Australian Yoga Book Pack here.